Feathered Fireworks, originally uploaded by marcn. 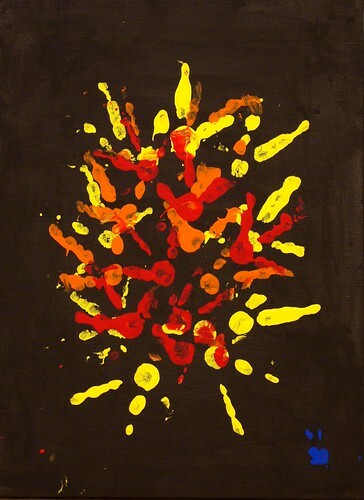 Wendy is selling this chicken-created art "Feathered Fireworks" on ebay to benefit Merrimack's Kids Kove playground reconstruction project. Hey -- it has been picked up by the AP -- Google for "Feathered Fireworks" or "NH chicken's painting auctioned on eBay"